Your donation will be used to fund a program or event, or to purchase cleanup supplies. We have many sponsorship opportunities for your business. Click below for packages. Want to be involved in a more hands on way? Sign up to help out with a program or event! Check out our recent video about Earth Day 2016, featuring our volunteers & highlights of the day. We had loads of fun. Come out & join us for one of our events soon! You won’t regret it! 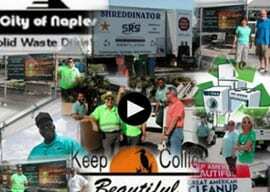 Check out all our videos by clicking here.